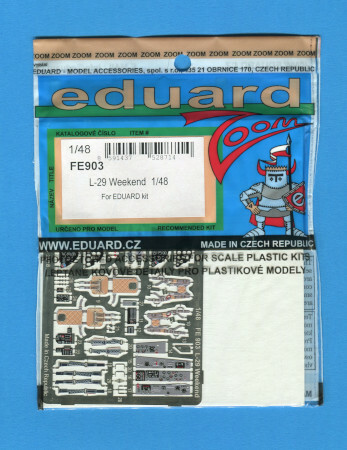 This ZOOM set is for Eduard's 1/48th scale Aero L-29 Albatros kit. The set consists of 26 pieces, most of which are pre-painted, on a single fret. This is a simple set and it includes new instrument panels, ejection seat cushions and harnesses, sidewall consoles, throttle quadrants, new gun sight face, etc. I really like the lines of the Czech built Aero L-29 Albatros. It is a graceful aircraft and Eduard has nicely captured it's shape. 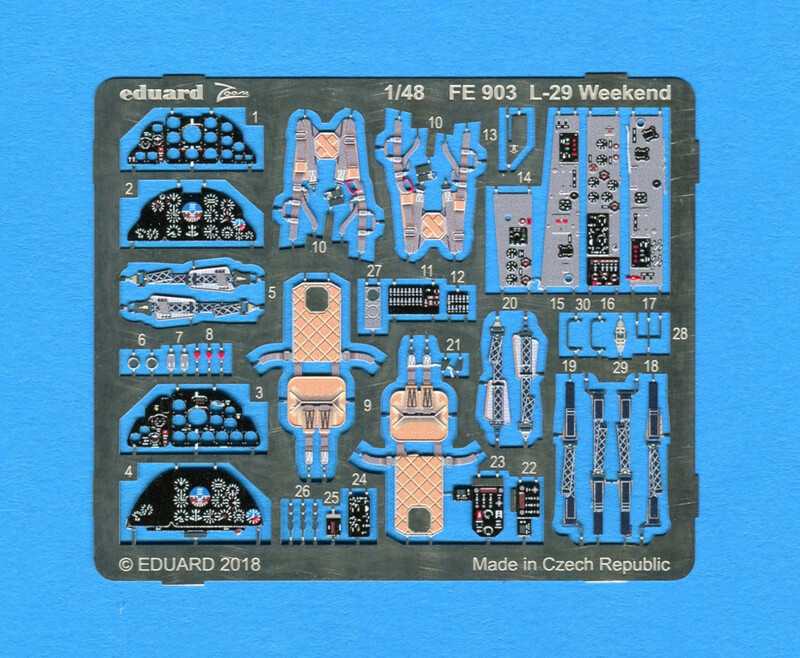 Their L-29 kit is accurate and well detailed. This ZOOM adds useful detail to the cockpit, which on a jet is likely to be the focus of interest. 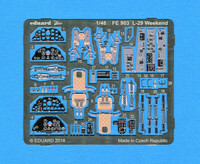 I recommend this PE set and I would like to thank Eduard for the review sample.